Women’s Basketball extended its win streak to three after a Feb. 3 victory over Saint Joseph’s, winning by 18 points in a 65-47 road blowout. The Black and Gold shot 22 of 53 from the field and 33.3 percent from 3-point range, continuing a run of victories with significant margins. The Rams scored more than 60 points for the ninth time this season. Sophomore guard Tera Reed led the way, racking up 18 points in almost 30 minutes on the floor. Reed was also 7-8 in free throws, adding four rebounds and one assist. The Rams dominated the game, taking a 13-7 lead to the end of the first quarter and a 28-23 advantage into halftime. 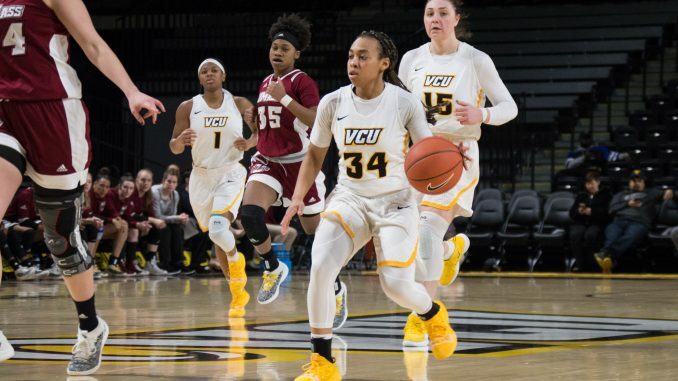 VCU extended its lead to 13 points by the end of three quarters, putting up nearly 20 more in the final frame to seal the victory. Junior guard Nyra Williams spent more than three quarters’ worth of time on the floor, tallying six assists and two rebounds, despite putting up just one basket on the board. Redshirt-freshman guard Madison Hattix-Covington scored 10 points, leading in rebounds with eight and contributing one assist. Meanwhile, sophomore guard Taya Robinson added two blocks to the Rams’ total of four, with freshman forward Kseniya Malashka and junior center Danielle Hammond adding one apiece. Both teams finished the game with six steals, with VCU taking bragging rights on total blocks, assists and turnovers. The Black and Gold dominated the Hawks in rebounds, racking up 39 to the Hawks’ 23. 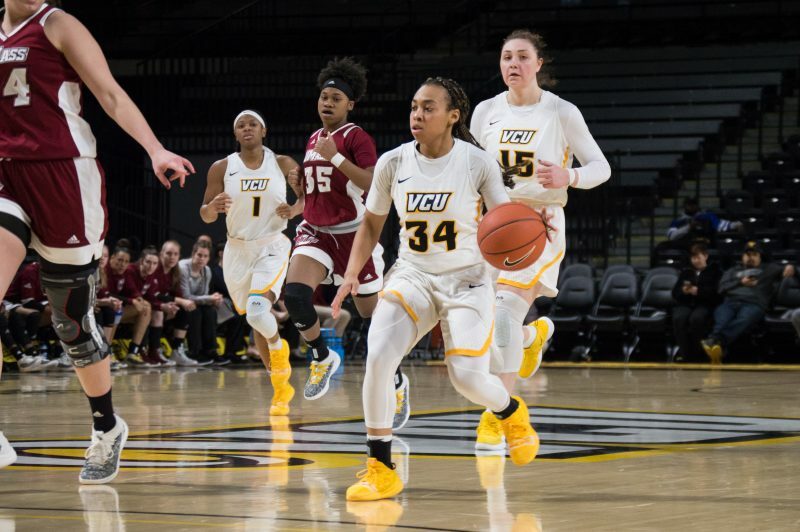 VCU and Saint Joseph’s tied in free throw percentage at 66.7 apiece, though the Rams had 24 opportunities, twice as many as the Hawks. The Rams also emerged with the better 3-point percentage, making five of 15 — or nearly 67 percent — while the Hawks had one more attempt but failed to execute, dropping to a 31.2 percent. Saint Joseph’s struggled from the field, making only 17 of 48 attempted shots for a percentage just above 35. VCU went 22-53 from the field, totaling 41.5 percent. The Black and Gold also scored 37 points in the second half, a 13-point upper hand over the Hawks, who kept pace early but withered as the game wore on. Next, the Rams will face off away against St. Bonaventure Feb. 6 at 7 p.m.